Explanation: Mars, the freeze-dried planet, orbits 137 million miles from the Sun or at about 1.5 times the Earth-Sun distance. It has two diminutive moons, towering extinct volcanos, an immense canyon system, a thin atmosphere chiefly composed of carbon dioxide (CO2), a frigid average surface temperature of -63 degrees Celsius, and permanent frozen CO2 polar caps which contain some water ice. Mars' surface presently lacks liquid water and has a reddish color because of an abundance of oxidized iron compounds (rust). 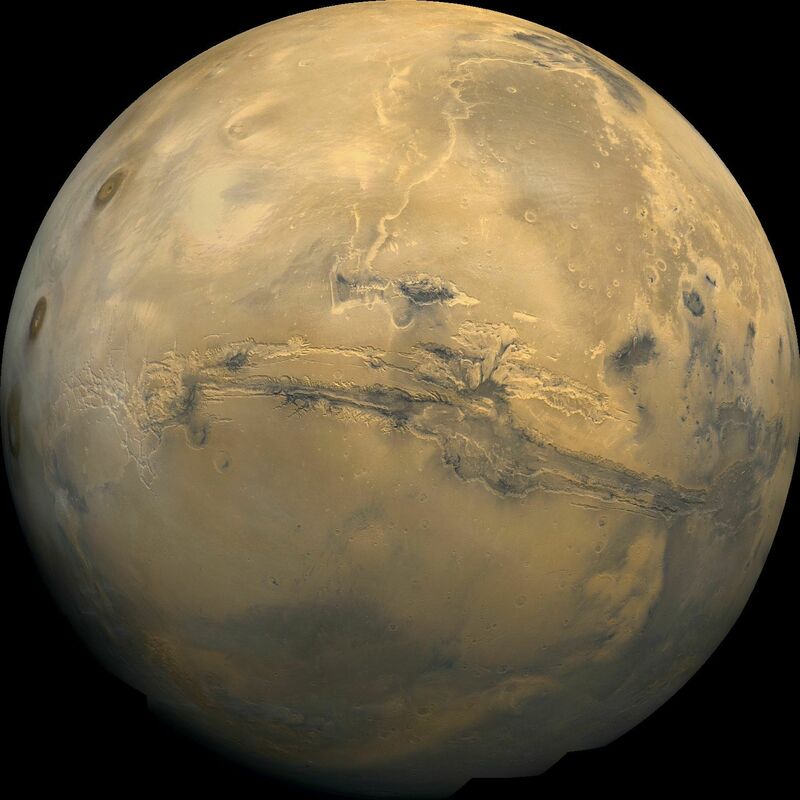 A small terrestrial planet, fourth from the Sun, Mars has only about 3/8 the surface gravity of Earth. So for example, if you tip the scale at a hefty 200 pounds on Earth you'd be a 75 pound featherweight on Mars. 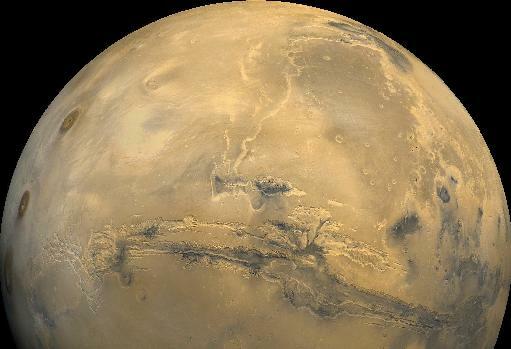 The low martian gravity will be good for NASA's Mars Pathfinder spacecraft scheduled to land on Mars next Friday, July 4th. Using rockets, parachutes, and airbags, Mars Pathfinder will be the first spacecraft to touchdown on the planet since the Viking landers in 1976. Pathfinder is also scheduled to begin the first ever mobile surface exploration by releasing the robot rover, "Mars Sojourner".